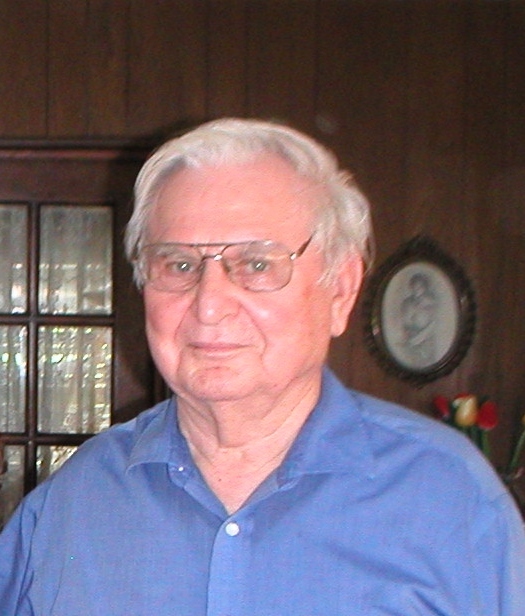 John Klemic, age 89, a former resident of Lennox and Sioux Falls, passed away peacefully on March 30, 2015 in Naperville, IL. He was born on May 10, 1925 in Nesquehoning, PA.
John is survived by the love of his life, his wife of almost 62 years, Rozene (Courey) Klemic; his loving children, John (Connie Colon) Klemic, Jr. of Los Angeles, CA, Gladys (Pepin Carolan) Klemic of Naperville, IL, James (Kathryn) Klemic of Falls Church, VA; as well as his grandchildren, Joseph Carolan, Mary Klemic, Jackie Colon, and Samuel Klemic. He was preceded in death by his children Mary Klemic and Thomas Klemic. John was born in Carbon County, PA, the son of an immigrant coal miner. He proudly served as a Lt. in the U.S. Navy in World War II, Pacific Theatre, and during the Korean Conflict. After Korea, John moved to South Dakota, married Rozene Courey of Lennox, and started his family. In Sioux Falls, John had real estate and insurance businesses that led to a job with the federal government that moved the family from the area. John maintained close ties to South Dakota, in particular with the Courey and Surdez families of Lennox. John was a federal government worker with the Federal Housing Authority and the Dept. of Housing and Urban Development (HUD). At HUD, he developed the housing counseling program that became the national model. He also worked in public housing anti-crime programs in Detroit, as well as special projects for HUD in Chicago, St. Louis, Newark, and New York. Upon his retirement from government service in the 1980â€™s, John had a second career as a science educator. John developed a series of hands-on science kits and coupled these with an education program he also developed that taught not only science topics, but instilled self-confidence in students. A man of insatiable curiosity and enthusiasm, while in retirement he also invented technologies for environmental remediation that led to his award of two US patents. John and Rozene Klemic were 39-year residents of Detroit, MI. In their later years, the couple moved to Naperville, IL to be near family. They both considered South Dakota as home, where they met and started their family. Funeral Services were held on Friday, April 3, 2015 at the Friedrich-Jones Funeral Home & Cremation Services, Naperville, IL. Interment will take place at St. Michael Cemetery in Sioux Falls, SD on April 18, at 9:30 AM. (A guest book is available on line at www.friedrichjones.com.) In lieu of flowers or donations, the family asks friends, neighbors, students, and colleagues to simply take a moment and think gentle thoughts.